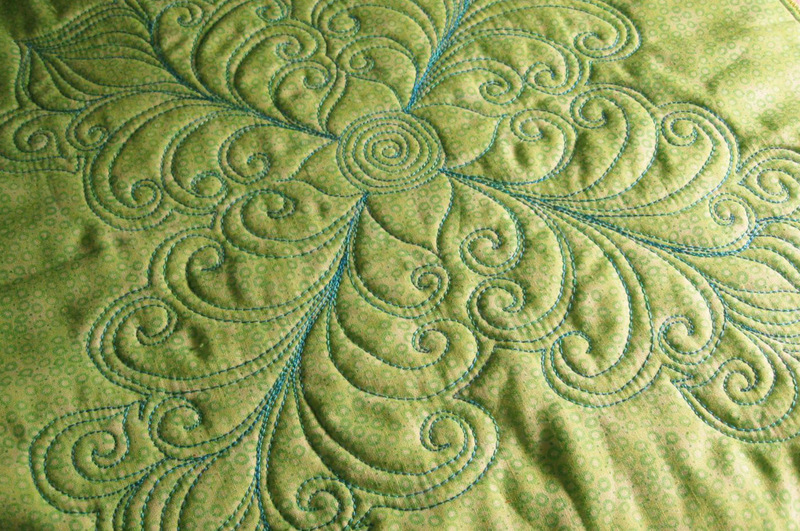 Another topic of the open forum at the Wide Back fabric party at the October Creative Arms meeting was how machine quilters use wide backings. from Blank Quilting were on display at the Wide Back Fabric Party. 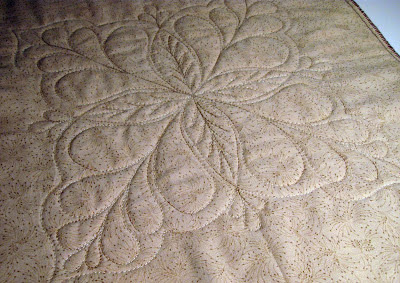 Below are quilted examples of Blank's 108" fabrics. 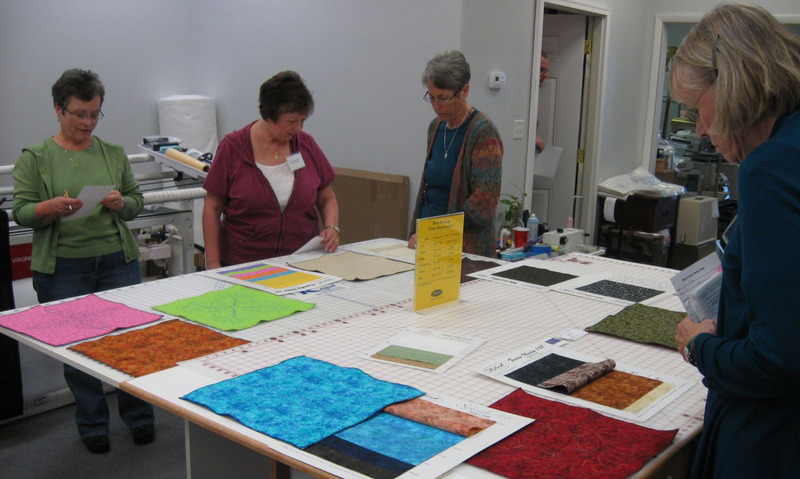 What other uses have you found for wide backings? 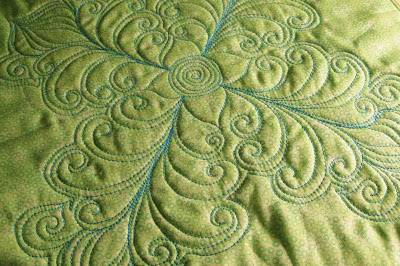 Free-motion quilting on Candy Dots 108" (lime). 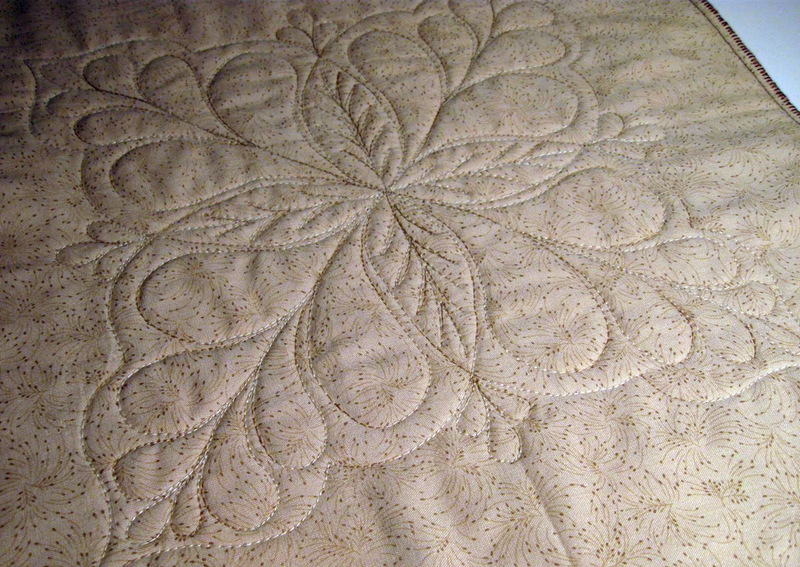 Free-motion machine quilting on Sparkle 108" (vanilla).